1 NEHGS NEXUS: New England Across the United States, 1999, Vol. 16, pp. 31, 73, New England Historic Genealogical Society (Online Database). 2 NEHGS NEXUS: New England Across the United States, 1998, Vol. 15, p. 206, New England Historic Genealogical Society (Online Database). 3 New England Historical and Genealogical Register, (New England Historic and Genealogical Society), 2011, Vol. 165, p. 215. 4 The Genealogical Magazine: A Journal of Family History, Heraldry, and Pedigrees, Volume II, May, 1898 - April, 1899, London: Elliot Stock (1899), 161, Google Books (Digital Library). 5 Adams, Arthur, The Magna Charta Sureties, 1215 , Baltimore: Genealogical Publishing Company (1964), 86. 6 American Society of Genealogists, The Genealogist, Rockport, Maine: Picton Press, 1999, Vol. 13, pp. 30-31. 7 American Society of Genealogists, The Genealogist, Rockport, Maine: Picton Press, Spring 1981, Vol. 2, Iss. 1, p. 125. 8 Burke, John and John Bernard Burke, The Royal Families of England, Scotland, and Wales, with their Descendants, Sovereigns and Subjects, Vol. II, London: J. Billing, Printer and Stereotyper (1851), Pedigree xv: Frevile Lambton Burne, Esq., Google Books (Digital Library). 9 Burke, Sir Bernard, Royal Descents and Pedigrees of Founders' Kin, London: Harrison, Bookseller to the Queen (1864), Pedigree XIX, Google Books (Digital Library). 10 Fraser, ed. Antonia, The Lives of the Kings and Queens of England , New York: Alfred A. Knopf (1975), 70, 143. 12 Roberts, Gary Boyd, Notable Kin, Volume 1 , Santa Clarita, California: Carl Boyer, 3rd (1998), 49. 13 Roberts, Gary Boyd, The Royal Descents of 600 Immigrants to the American Colonies or the United States , Baltimore: Genealogical Publishing Co. (2008), 47, 149-247. 14 Roberts, Gary Boyd, The Royal Descents of 900 Immigrants to the American Colonies, Quebec, or the United States (2 vols.) , Baltimore: Genealogical Publishing Company (2018), 375. 15 Roberts, Gary Boyd, The Royal Descents of 900 Immigrants to the American Colonies, Quebec, or the United States (2 vols.) , Baltimore: Genealogical Publishing Company (2018), 351, 355, 400. 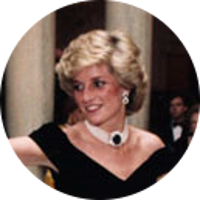 16 Roberts, Gary Boyd and Christopher C. Child, "The Shared Ancestry of (Rachel) Meghan Markle and Prince Harry of Wales", (accessed 11/30/2017). 17 Roberts, Gary Boyd, comp., Ancestors of American Presidents , Boston: New England Historic Genealogical Society (2009), 360, 412. 18 The Surrey Archaeological Society, Surrey Archaeological Collections, Relating to the History and Antiquities of the County, Vol. 3, London: Lovell Reeve and Co. (1865), 50, Google Books (Digital Library). 19 Weis, Frederick Lewis, et. al., Ancestral Roots of Certain American Colonists Who Came to America before 1700, 8th Edition , Baltimore, Maryland: Genealogical Publishing Company (2004), 8-9. 20 Weis, Frederick Lewis, et. al., The Magna Charta Sureties, 1215: The Barons Named in the Magna Charta, 1215 and Some of their . . ., 5th edition , Baltimore, Maryland: Genealogical Publishing Co., Inc. (Third Printing, 2006), 26. 21 Wikipedia, "Edward III of England", (accessed 02/21/2010).